Firstly the Thai visa does not give you the right to enter Thailand as Thai Immigration at the border can deny entry into Thailand. Your passport must be valid for at least 6 months after entry into Thailand. For Nigerian nationals you will need to provide the following for your visa application in Abuja. Note also that the Thai Embassy in Nigeria also manages the visa applications for Benin, Cameroon, Republic of the Congo, Central African Republic, Equatorial Guinea, Ghana and Sao Tome & Principe. They must take their application for a visa to Thailand in person to the Royal Thai Embassy in Abuja. Note that you will also be require to have a Certificate of Clearance from the National Drug Law Enforcement Agency of Nigeria before you apply for a Thai visa in Nigeria. You will need to take it to the Embassy with your confirmed return airline ticket which has been fully paid for to the Embassy. Once this has been done the Thai Embassy will notify you of an interview date for the visa. Note that it takes about 5 days to process the visa application. 3. Two (2) recent (2 x 2 inches) photographs (taken within the last 6 (six) months). 4. The Certificate of Clearance from the National Drug Law Enforcement Agency of Nigeria (NDLEA). 5. Certificate of Criminal Clearance issued by the Nigerian police. 7. The letter of reference issued by the authorized bank officer/manager. The two documents must be certified by the Notary Public or the Court and the Ministry of Foreign Affairs of Nigeria. A copy of each document needs to be submitted. This must state the applicant’s position, present salary, and duration of work service in the company. If the applicant is self – employed, relevant documents such as business license and tax income clearance. 9. International Health Certificate on Yellow Fever Vaccination. 10. Reservation of a hotel in Thailand or address and telephone number of the sponsor in Thailand. 11. Confirmed return air ticket paid in full. 3. Two (4) recent (2 x 2 inches) photographs (taken within the last 6 (six) months). 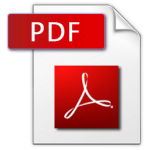 The letter of reference issued by the authorized bank officer/manager. The two documents must be certified by the Notary Public or the Court and the Ministry of Foreign Affairs of Nigeria. 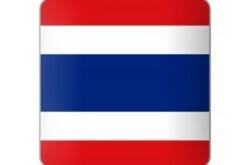 They have to state the purpose of the applicant’s visit and the duration of stay in Thailand. 8.2 Business registration and business license. Seek legal advice or contact the Embassy if you are not certain about all the documents which will be needed. 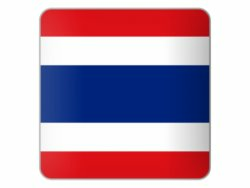 Note that if you are going to teach in Thailand then you will also need a copy of your resume as well as a certified copy of your university degree as well and transcripts as well as a copy of your Thai teachers licence if you already have one. Also a copy of your employment contract from the school or university and approval from the Department of Labour in Thailand. 12. Confirmed return air ticket paid in full. 13. Visa fee in amount of 13,000 Naira (single entry). If you are going to play football in Thailand then your application will need to go visa the Sports Authority of Thailand. They will then make a request to the Ministry of Foreign Affairs for the approval of you arriving in Thailand for playing football. Once this is done and you meet the above requirements only then will a visa be issued. 4. Certificate of Criminal Clearance issued by the police and certified by the Notary Public or the Court and the Ministry of Foreign Affairs or the Embassy of these countries. There also needs to be a letter from the bank manager. The two documents must be certified by the Notary Public or the Court and the Ministry of Foreign Affairs or the Embassy of these countries. 7. International Health Certificate on Yellow Fever Vaccination. 8. Confirmed return air ticket paid in full. 9. Visa fee in amount of 13,000 Naira (single entry).